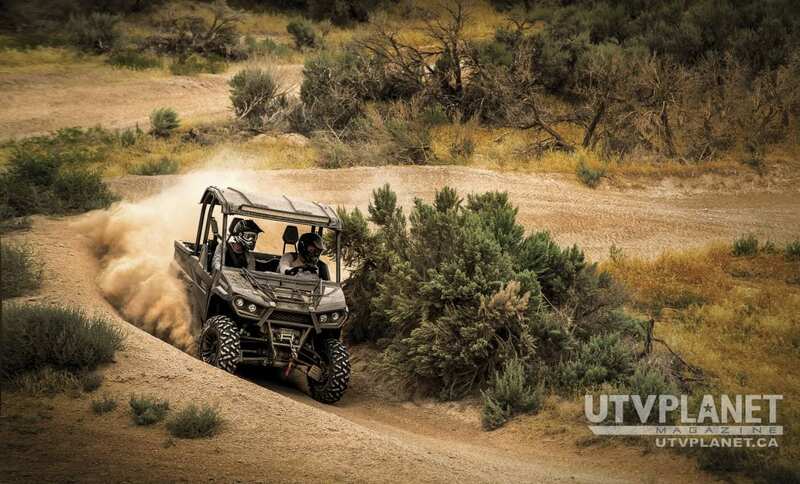 The new Stampede 900 4x4 offers best-in-class power and unrivaled handling. AUGUSTA, GA — Bad Boy® Off Road, a Textron Specialized Vehicles brand, is proud to announce the Stampede 900 4×4, a side-by-side with unmatched power, nimble suspension and handling, unrivaled hauling and storage capacity, an extraordinary driver experience and exceptional reliability. 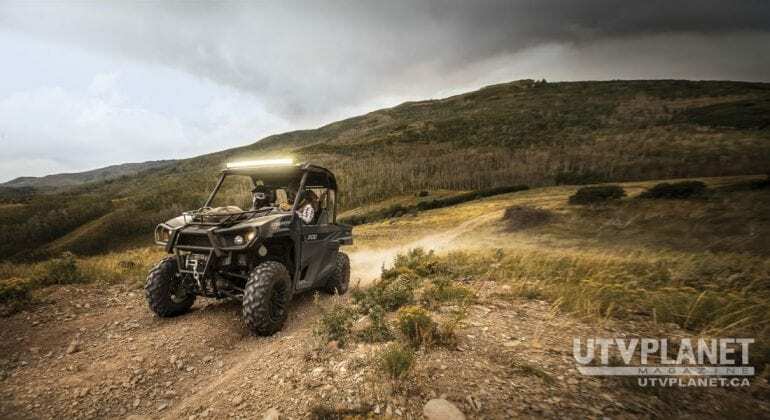 Textron Specialized Vehicles Inc., which designs and manufactures Bad Boy Off Road vehicles, is a Textron Inc. (NYSE: TXT) company. 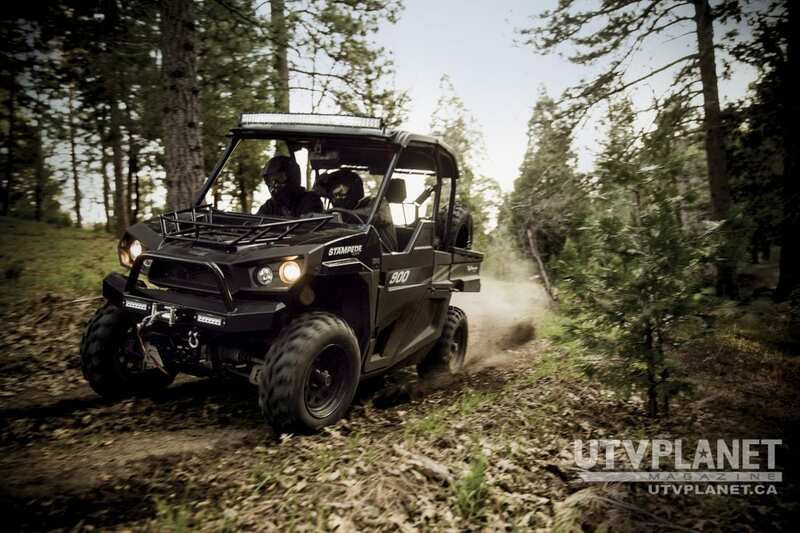 “We designed Stampede to be industry-leading on the features that drivers told us matter most – power, a comfortable ride, and the ability to haul and store everything they need,” said John Collins, Vice President – Consumer for Textron Specialized Vehicles Inc. Featuring a German-engineered, precision-tuned 846cc liquid-cooled, 80HP engine with electronic fuel injection, Stampede is a powerhouse with 59 lb-ft of torque to accelerate, climb and tow. 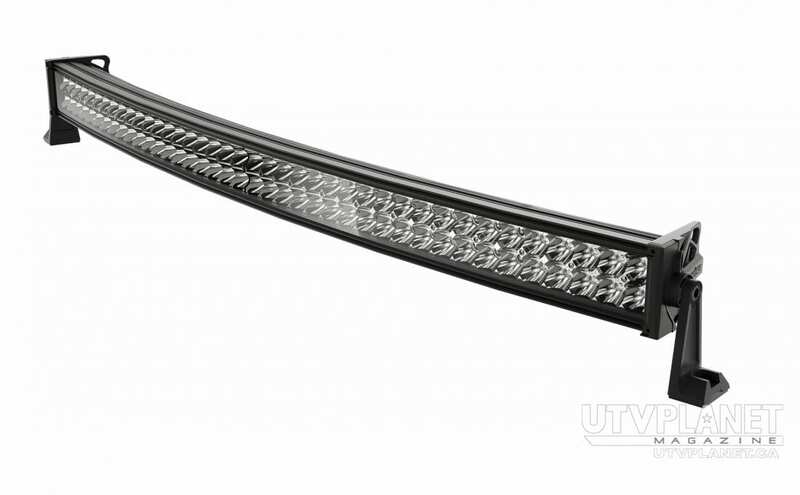 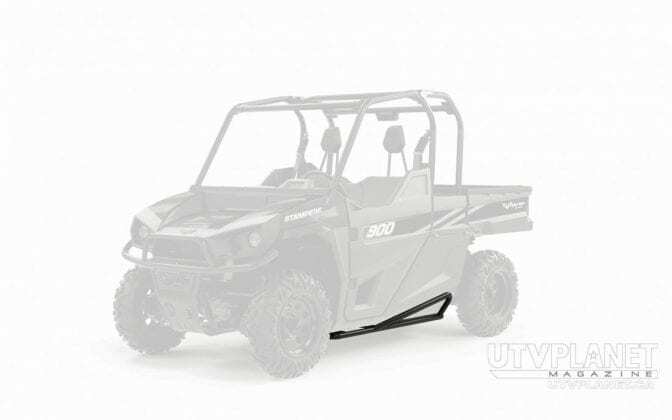 Its forged internals (crankshaft, connecting rods and pistons) ensure outstanding durability. 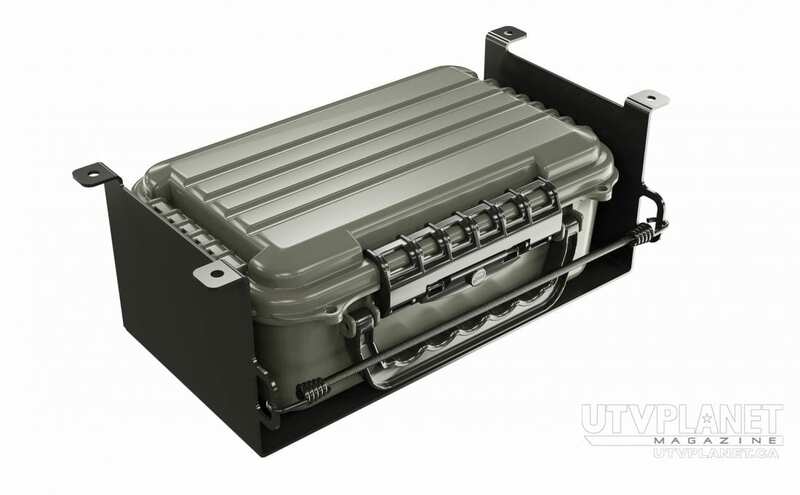 A dry sump oil system, which is commonly found in high-performance engines, reduces oil operating temperatures and provides enhanced lubrication and protection. 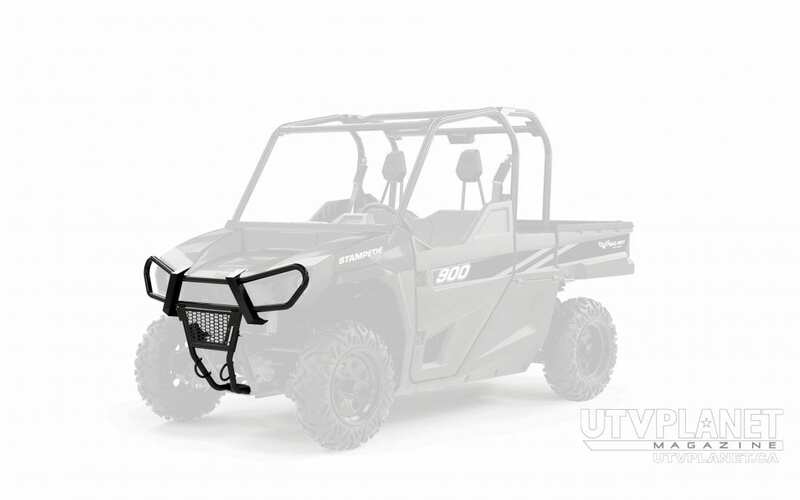 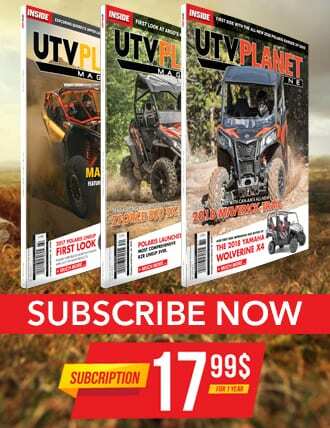 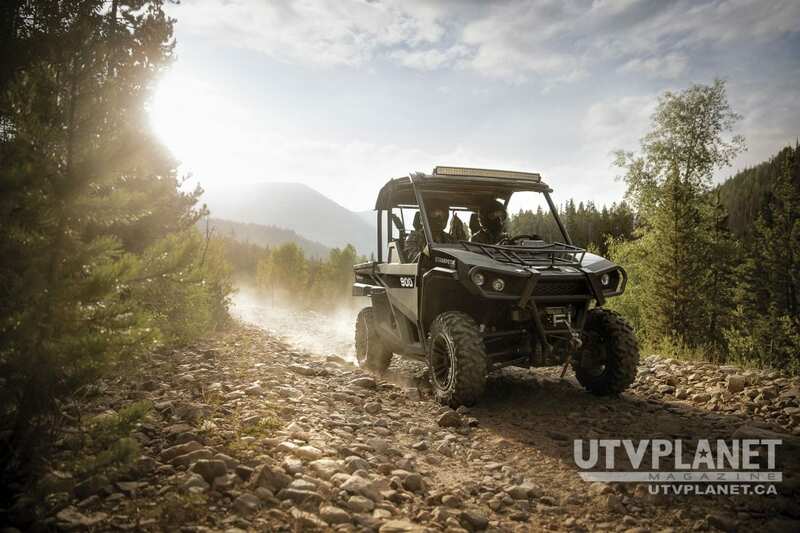 Stampede features a CVT transmission (H,L,N,R,P) with a selectable locking rear differential in EPS and EPS+ models. Fuel capacity is 9.5 gallons. 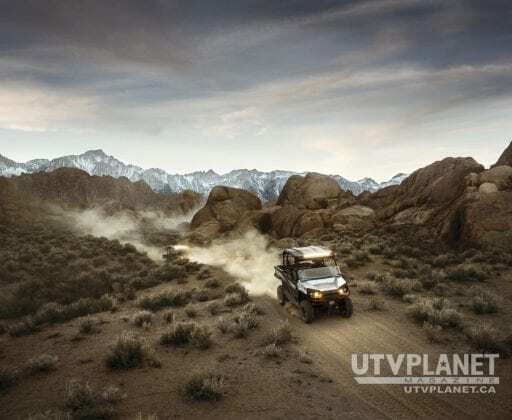 Stampede has 11.25 inches of ground clearance and delivers a smooth ride thanks to high-quality springs, performance shocks and a four-wheel double A-arm suspension with 9.5 inches of travel in the front and 10.5 inches in the rear. 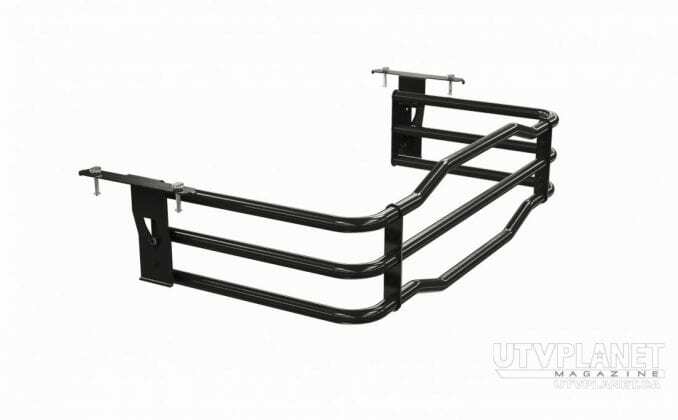 Front and rear sway bars help to keep all four wheels on the ground when cornering for increased traction and handling. 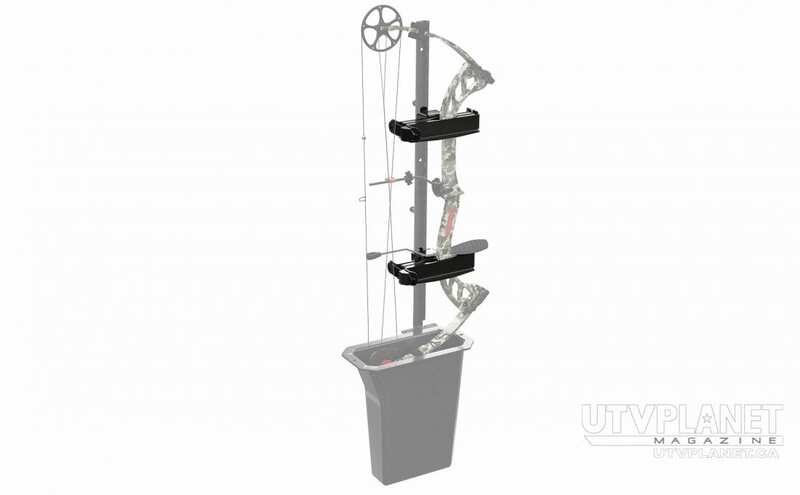 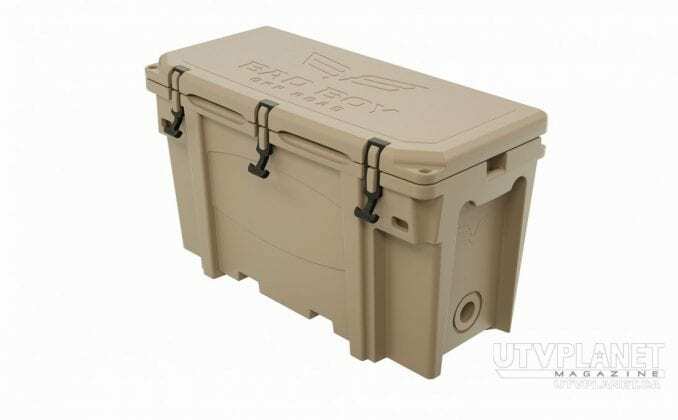 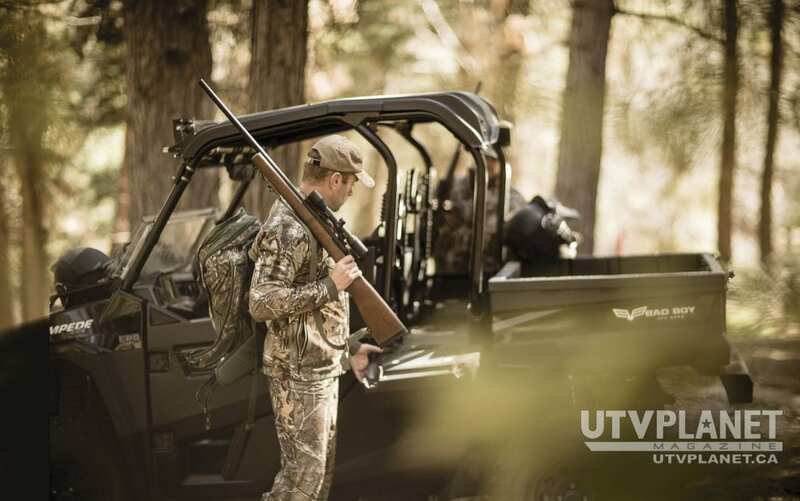 An industry-first, customizable extended cab keeps tools, gear, guns and bows secure, dry and easy to reach. 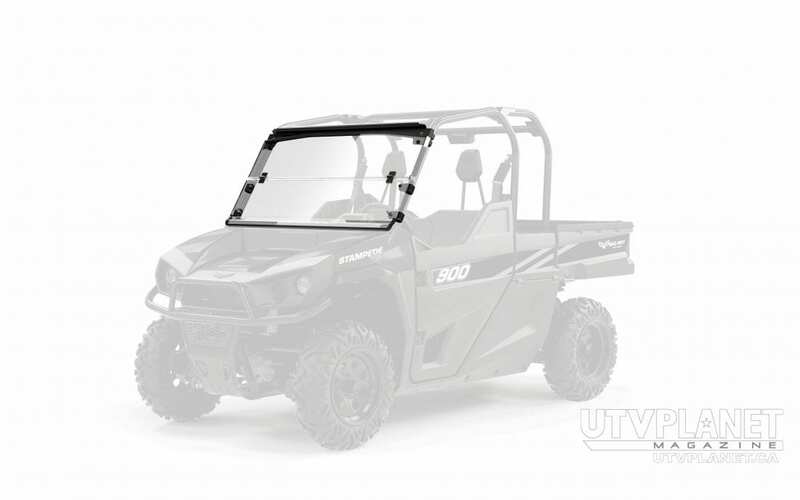 Between the bed, dash pockets and extended cab, Stampede boasts 24 cubic-feet of storage space, the most in its class. 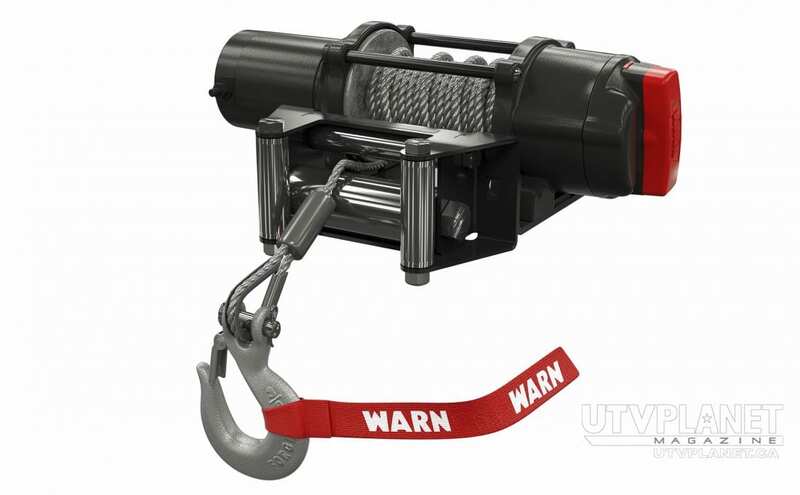 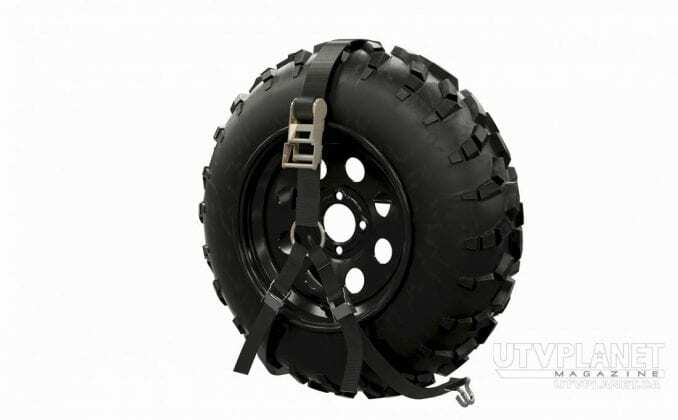 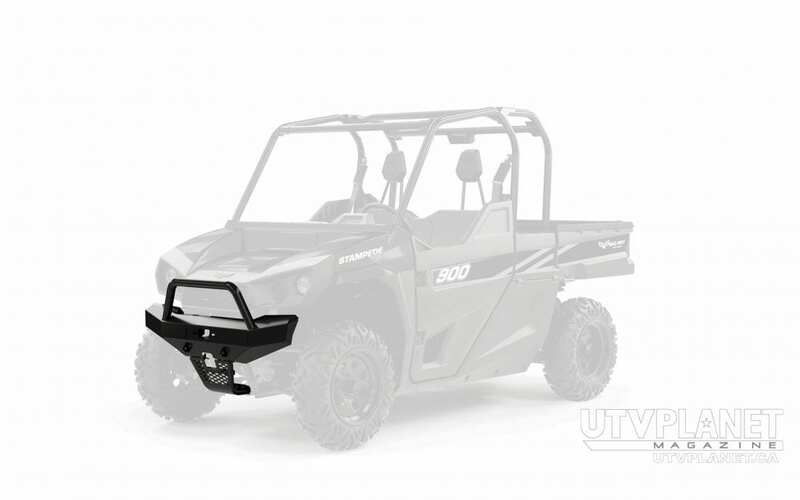 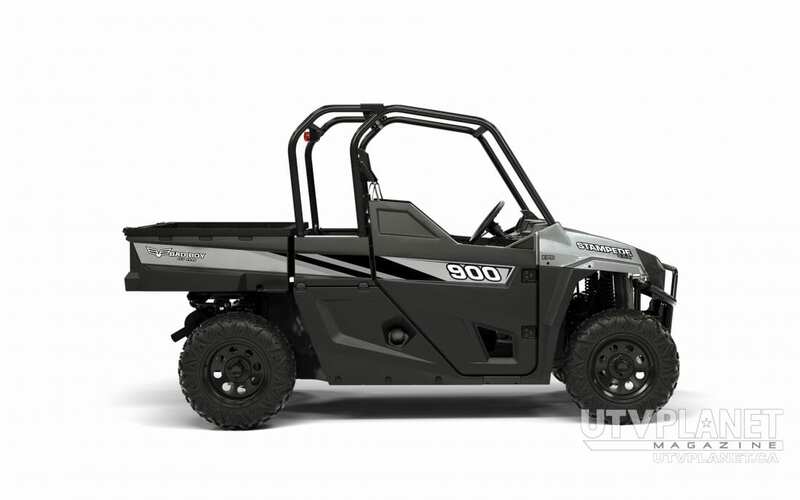 Stampede comes with a 2inch receiver hitch, can tow up to 2,000 pounds and has a 600-pound bed capacity. 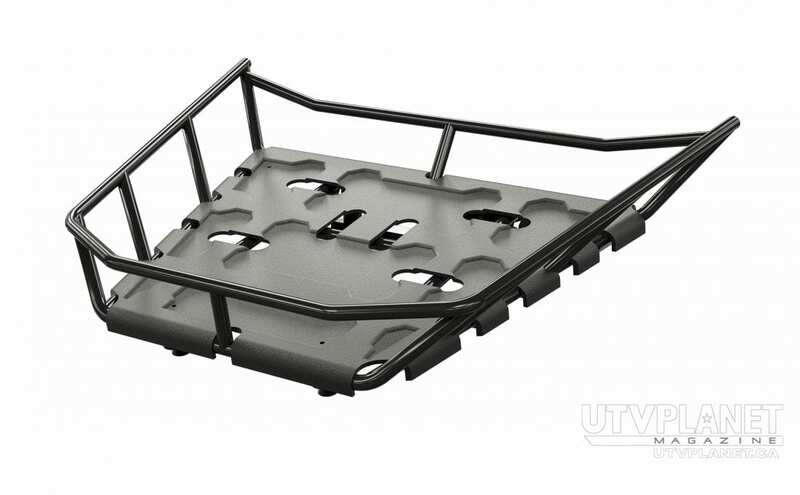 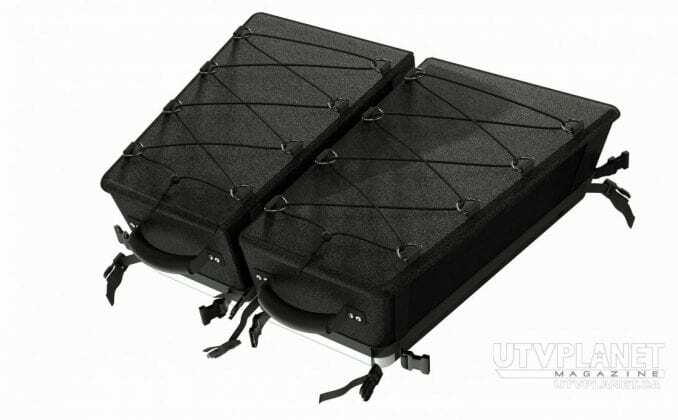 The unique Fast-N-Latch™ System on Stampede utilizes specially designed connection points in the bed to securely haul a variety of accessories while maximizing bed space. 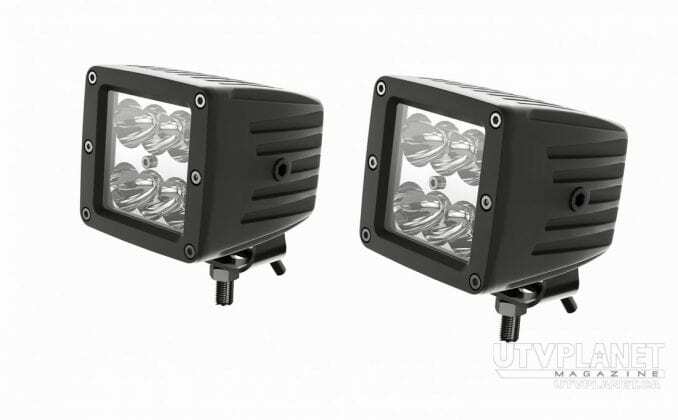 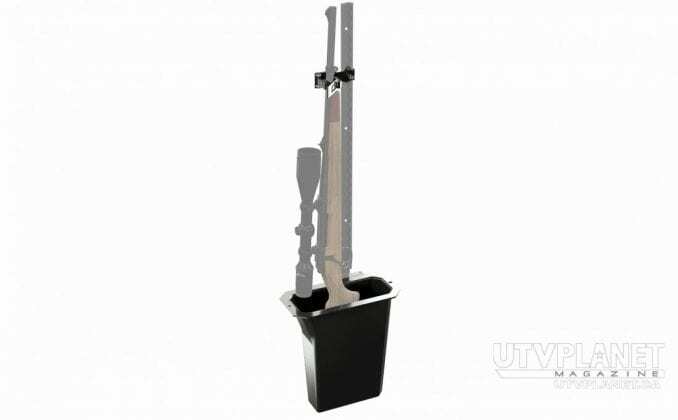 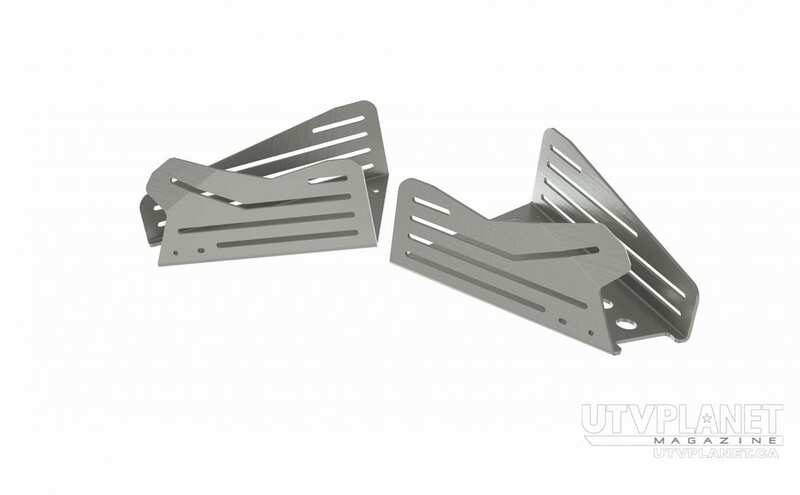 Each component is quickly and easily interchangeable using a simple hand tool provided, for unparalleled versatility. 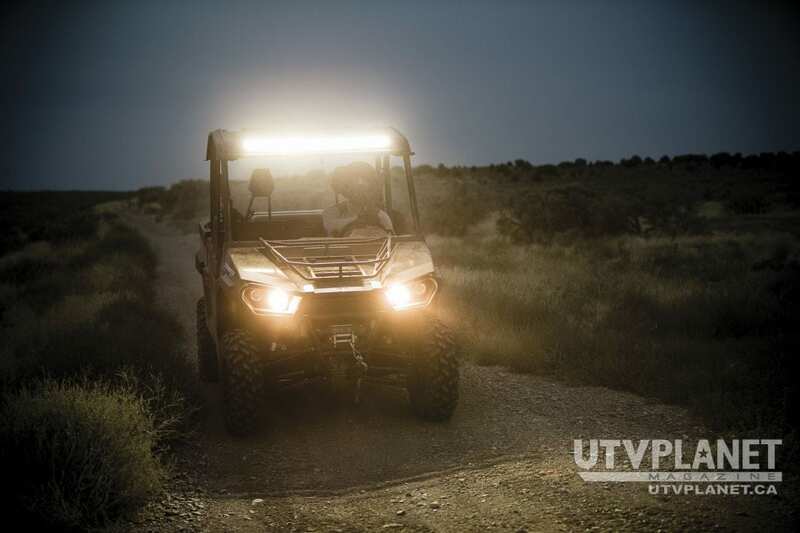 With a spacious 10-sq-ft opening to the cab, it’s easy to get in and out of Stampede. 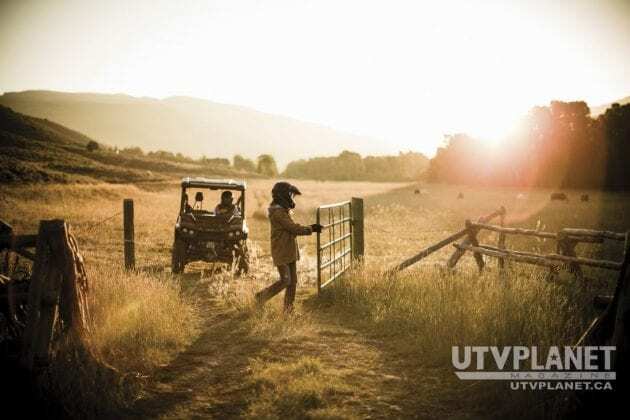 Full-coverage, impact- and corrosion-resistant doors come standard, providing a safe, durable and easy-to-clean exterior. 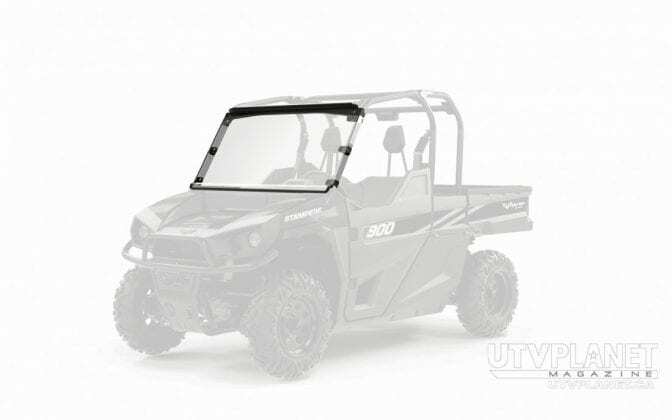 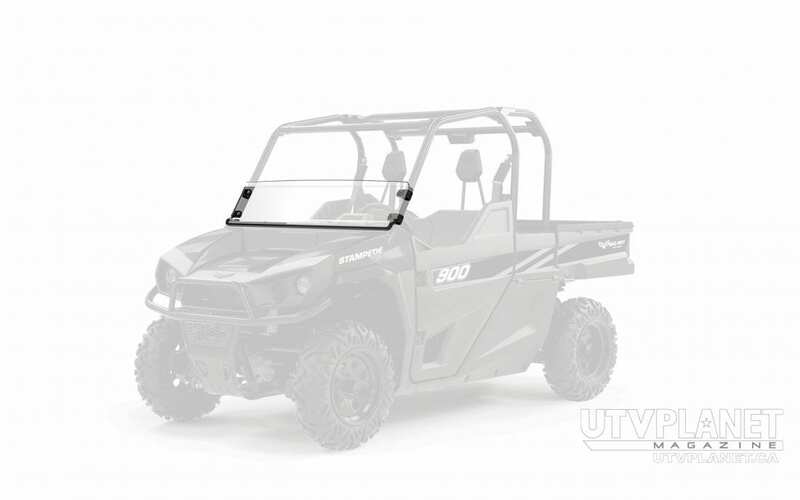 Other safety features include: four wheel hydraulic disc brakes, three-point seat belts, steel-tube rollover protective structure, front-mounted steel brush guard and passenger grab handle. Drivers get instant feedback on fuel level, engine temperature, RPM, gear position and diagnostic codes from Stampede’s industry-best 5.25- x 3.25-inch LCD display that’s visible in any light. 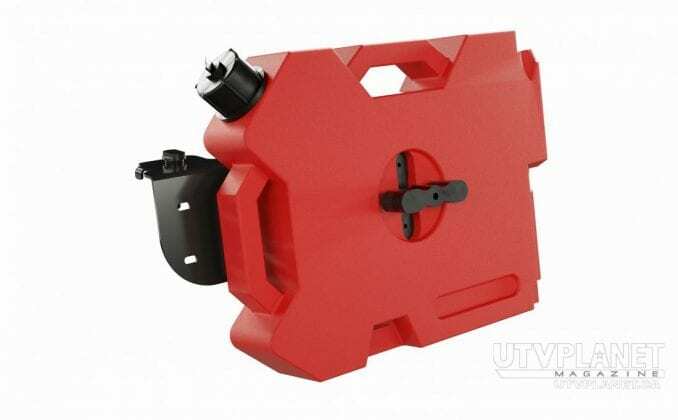 The cab also has a handy 12-volt outlet. 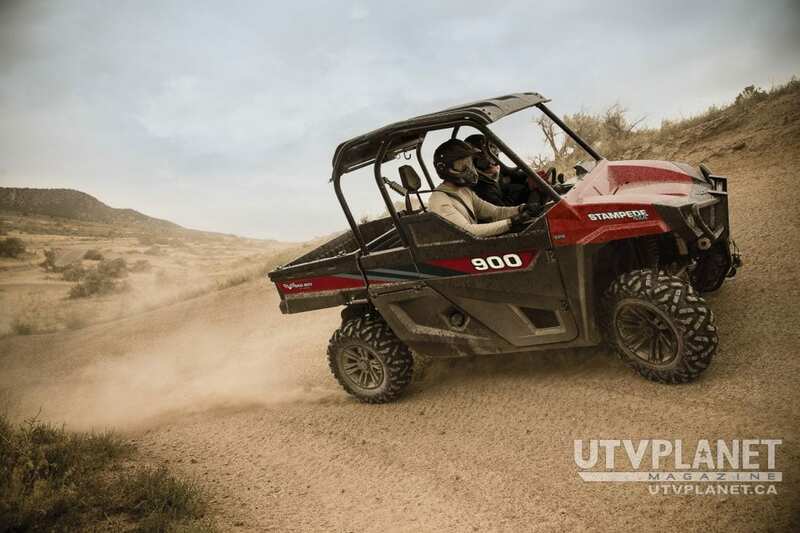 During testing, Stampede endured 800 hours/10,000 km (6,213.7 miles) of nonstop use in temperatures from 0 to 120 degrees Fahrenheit, and each component was separately stress-tested to strict standards. This side-by-side has a two-year warranty and is built in a state-of-the-art facility in Augusta, Georgia, home of Textron Specialized Vehicles. 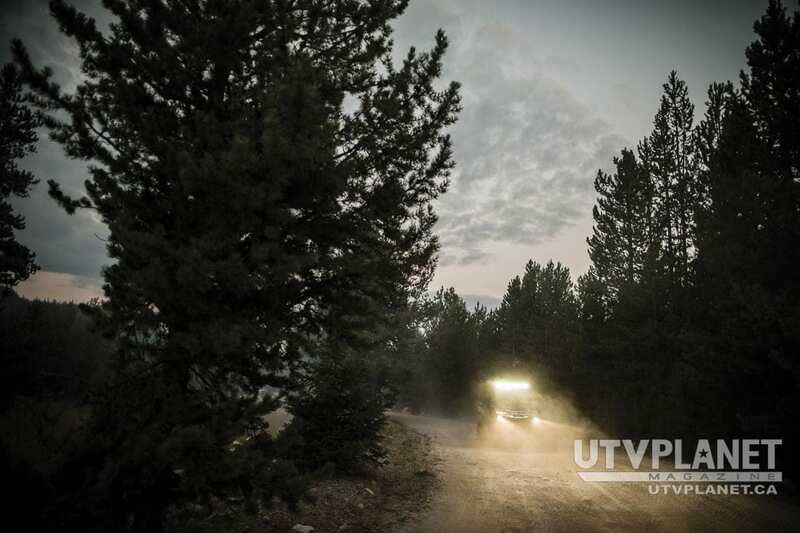 The facility has rigorous end-of-line testing, laser wheel alignment and automated systems for total consistency. Because no two side-by-sides will ever be used in exactly the same way, Stampede features more than 70 custom-fit, purpose-built accessories, including two popular ready-made packages, the “Hunting” and the “Workman.” The Hunting package includes a hard top roof, split windshield, plate brush guard, plate rear bumper, gun mount and bow mount, WARN® ProVantage 4500 winch with wire rope, hood rack, light bar mount, 42-inch LED curved light bar and two 6-inch flush-mounted LED light bars. The Workman package includes: a hard top roof, full windshield, tubular brush guard, tubular rear bumper, Fast-N-Latch toolbox, bolt-in front receiver, WARN® ProVantage 4500 winch with synthetic rope, light bar mount and 42-inch curved light bar. 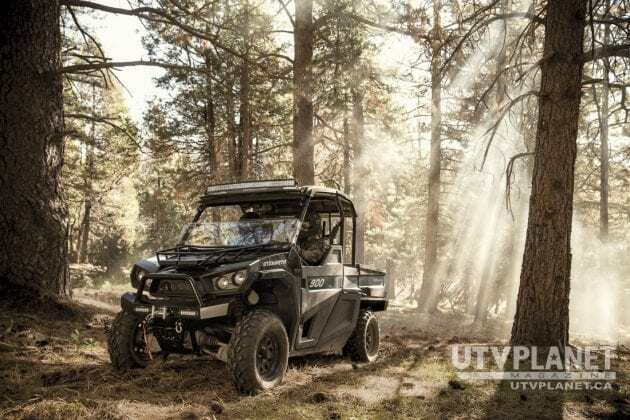 Stampede is offered in three configurations: Stampede 900 4×4, Stampede 900 4×4 EPS with electronic power steering and selectable locking rear differential, and Stampede 900 4×4 EPS+ with alloy wheels, 27-inch Maxxis Bighorn 2.0 tires and color-accented seats. The base model is available in Forest Green and Inferno Red; Stampede 900 EPS colors include Forest Green, Black and Inferno Red, with Realtree Xtra® camouflage as an option; and Stampede 900 EPS Plus is available in Platinum, Black and Inferno Red. Manufacturer’s suggested retail price for the base model starts at $13,799. Stampede will be available starting June 1, 2016 at Bad Boy Authorized Dealers, with EPS+ models available in July. 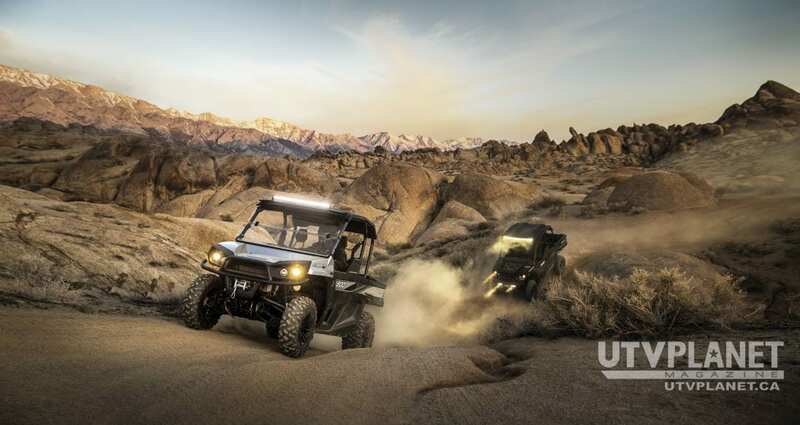 To learn more, or to find your local dealer, visit badboyoffroad.com. 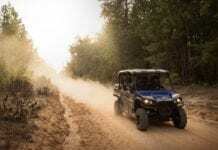 Join the conversation on Facebook at Facebook.com/BadBoyOffRoad, on Twitter at @BadBoyOffRoad, and on Instagram at @BadBoyOffRoad. 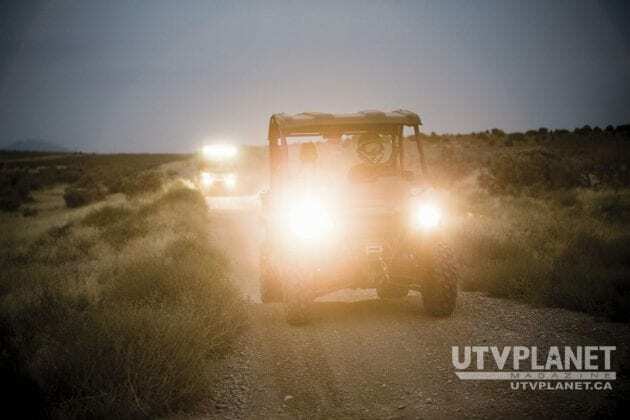 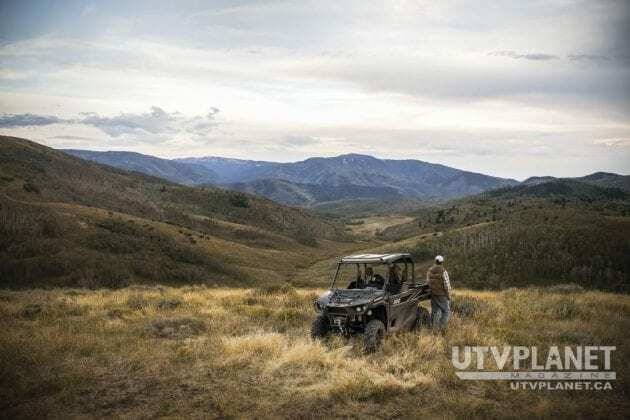 The Bad Boy brand pioneered the category of electrically powered 4×4 vehicles, ideal for hunting and outdoor recreation due to their silent, odorless operation and environmentally friendly, emissions-free drivetrains. Today, the diverse Bad Boy product line includes gas, electric, and hybrid-powered off-road vehicles for a variety of uses in work and play, including the new Stampede 900 4×4 side-by-side. 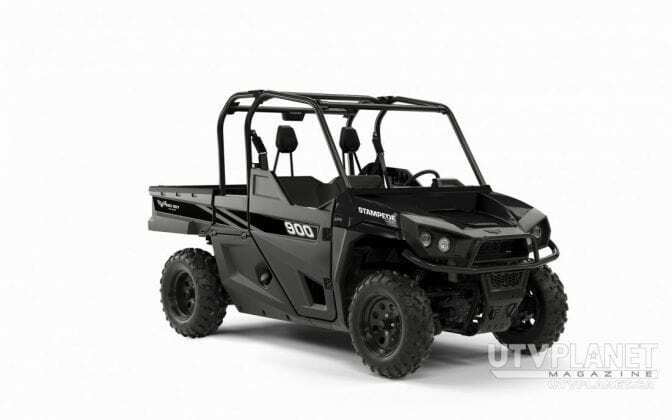 Bad Boy Off Road is a brand of Textron Specialized Vehicles Inc., a Textron Inc. (NYSE: TXT) company. About Textron Specialized Vehicles Inc.
Textron Specialized Vehicles Inc. is a leading global manufacturer of golf cars, utility and personal transportation vehicles, and ground support equipment. 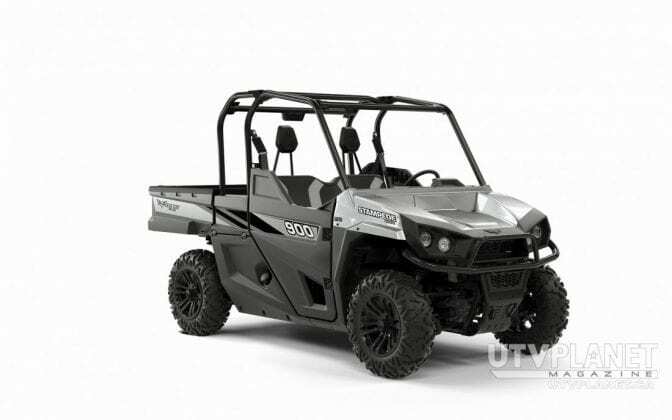 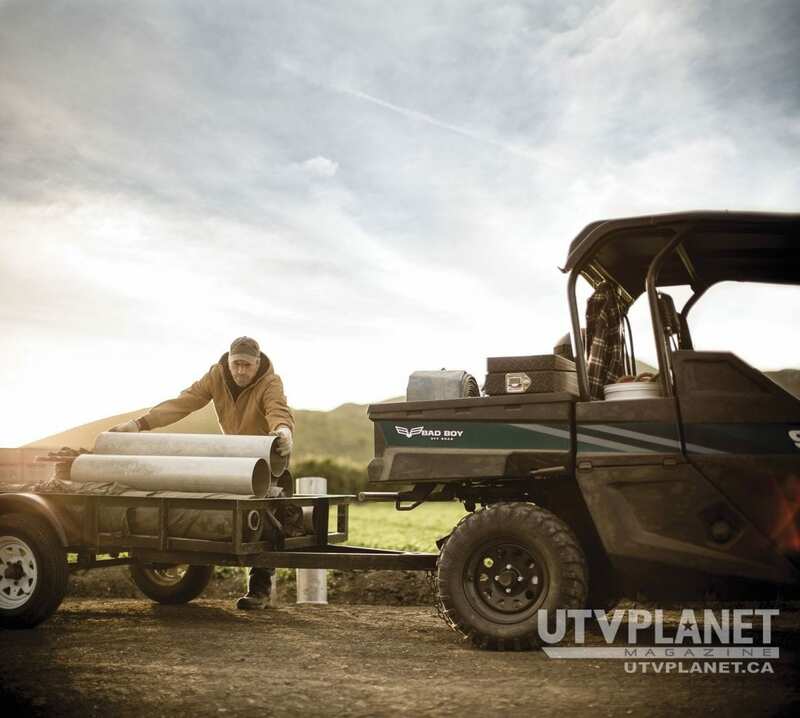 Textron Specialized Vehicles markets products under the E-Z-GO®, Cushman®, Bad Boy®, TUG™ and Douglas™ brands; Its vehicles are found in environments ranging from golf courses to factories, airports to planned communities, and theme parks to hunting preserves. Textron Inc. is a multi-industry company that leverages its global network of aircraft, defense, industrial and finance businesses to provide customers with innovative solutions and services. Textron is known around the world for its powerful brands such as Bell Helicopter, Cessna, Beechcraft, Hawker, Jacobsen, Kautex, Lycoming, E-Z-GO, Greenlee, Textron Systems, and TRU Simulation + Training. 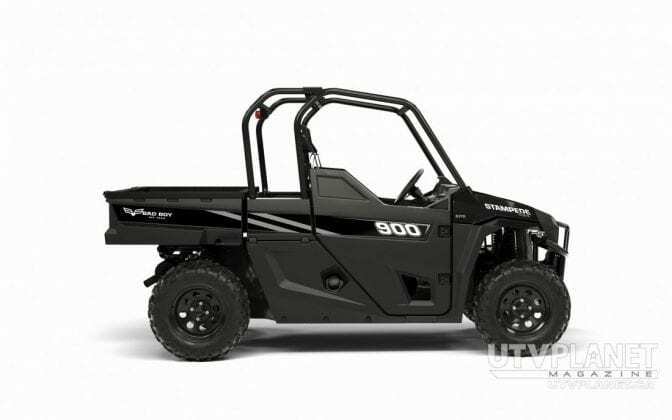 For more information visit: www.textron.com.